New Horizons For Children – An International Hosting Program for Orphaned Children. Since 2005, New Horizons for Children has been sharing the love of God with vulnerable and orphaned children around the world. We help families step out in faith and step into an at-home mission trip by opening their home to an orphaned child from Eastern Europe for a 4-6 week visit during the summer or winter. We partner with orphanages in Ukraine, Latvia, and Kenya to provide for the basic needs of the children and we take mission teams in country to serve in orphanages and share the love of Jesus. We also provide parent education and training to families in the USA who are caring for vulnerable children, as well as, training for caregivers in our orphanages to help them better meet the needs of the children. Vulnerable children worldwide desperately need the love of family and to know the love of God. 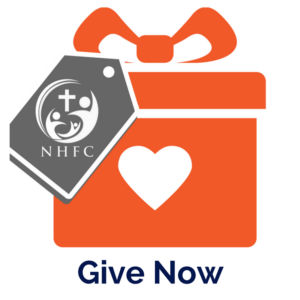 NHFC exists so these children will know that they have value, they are not forgotten, and they are not alone.